As you are probably aware, we charter our pilgrimage flights through an agent, who negotiates not only costs but also flight slots and times. To enable us to ensure that travel arrangements for our Supported Pilgrims are as comfortable as possible, which forms part of our duty of care to them, we also retain the flexibility to alter the passenger manifests (the names of who goes on which flight) as and when we consider it necessary to do so. This was the case in Lourdes this year, when we transferred the full passenger manifest for our Supported Pilgrims from the Enter Air flight – which was due to leave at 6.10pm – to the Alba Star flight – which was scheduled to leave at 8.20am. Subsequently, the Alba Star flight was found to have a technical issue and was no longer available. It was replaced by a smaller plane, with 170 seats, and rescheduled for a 7.10pm departure. This meant we could no longer use this aircraft for our Supported Pilgrims as planned, and so the full manifest was once again transferred from the Alba Star to the Enter Air flight. The above details form only a small part of the flexibility that is required when dealing with charter flights and the Lourdes Pilgrimage transport arrangements. Bearing all the circumstances in mind, we have approached our agent, Joe Walsh Tours, who has taken up our case with both airlines. However, because of the complex changes to the manifest, it is extremely difficult to determine which individuals, if any, would be entitled to any form of compensation that may be available. 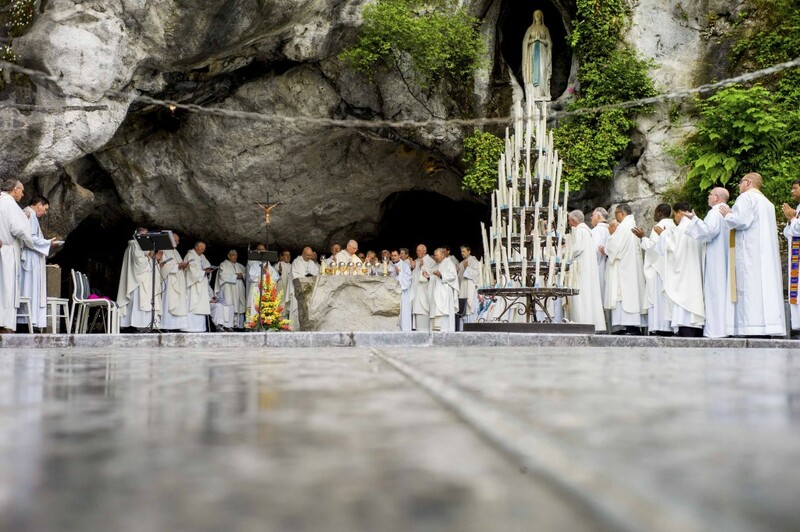 It could be the case that the Lourdes Pilgrimage is compensated as a group, which would reflect on next year’s pilgrimage costs and is something we need to consider. This does not stop any of those affected by delays from pursuing individual claims if this is something you feel strongly about. We will keep you informed of our progress in this matter. We would like to express our thanks to all those who travelled on both pilgrimage flights and those who travelled to Stansted as part of our pilgrimage for their support and considerable patience, which helped us come through what was a challenging day for all of us in good spirits at the end of a wonderful week in Lourdes.